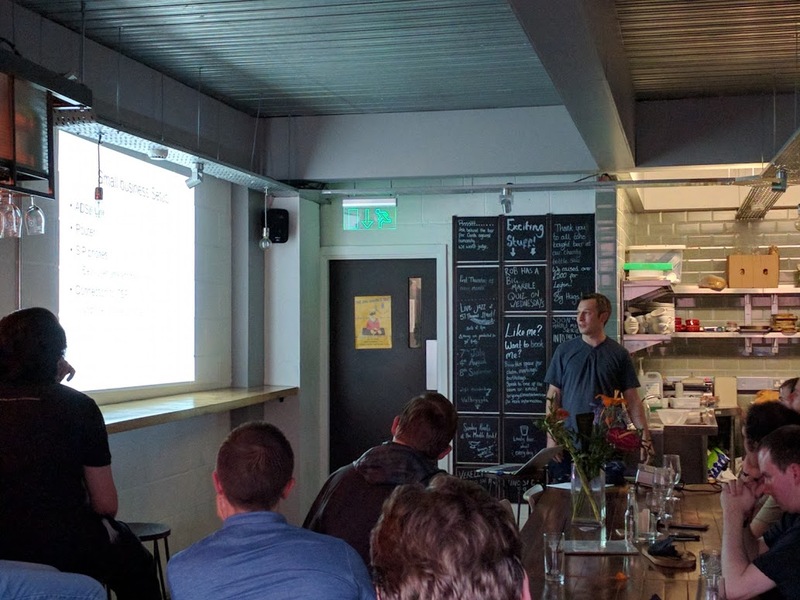 On the 14th of July 2016, the inaugural NetMcr meeting was held at 57 Thomas Street, a lovely little pub in Manchester’s Northern Quarter. We’re hoping to be back here every 2nd Thursday from now on until they get tired of us. 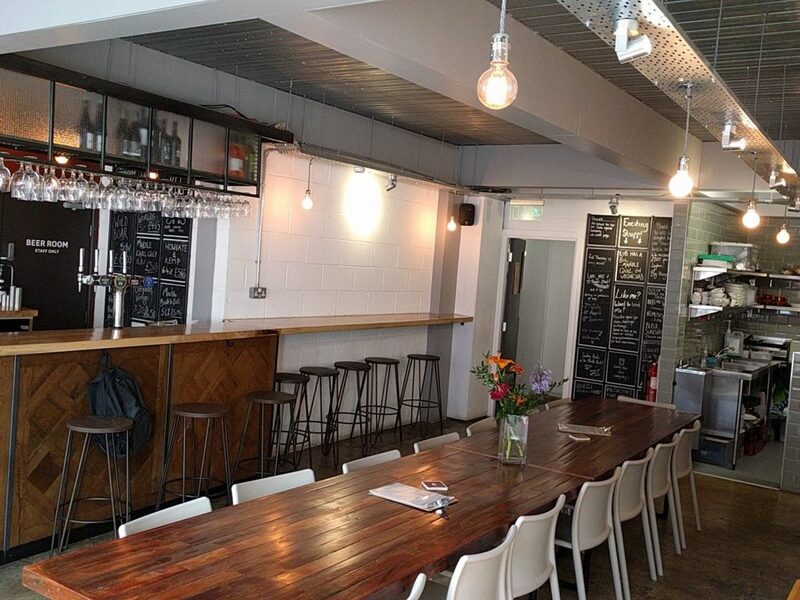 Upstairs at 57 Thomas Street, before the chaos began. We spent a little time socialising, saying hello to everyone. Pretty soon it was time to get down to the presentations. First, a little introduction from Thom & myself; what NetMcr’s about, what we hope to achieve, and our respect policy. ￼Then we had some the real presentations, from some wonderful volunteers. First up (in his first public presentation ever) was Neil Lathwood with a talk on LibreNMS. Neil speaking about LibreNMS, to a packed-out audience. And it was a great start, for NetMcr as a whole. Neil set the tone for the rest of the evening with his presentation. Unsurprisingly, he was so good, we even convinced him to come back and talk again… Next month. 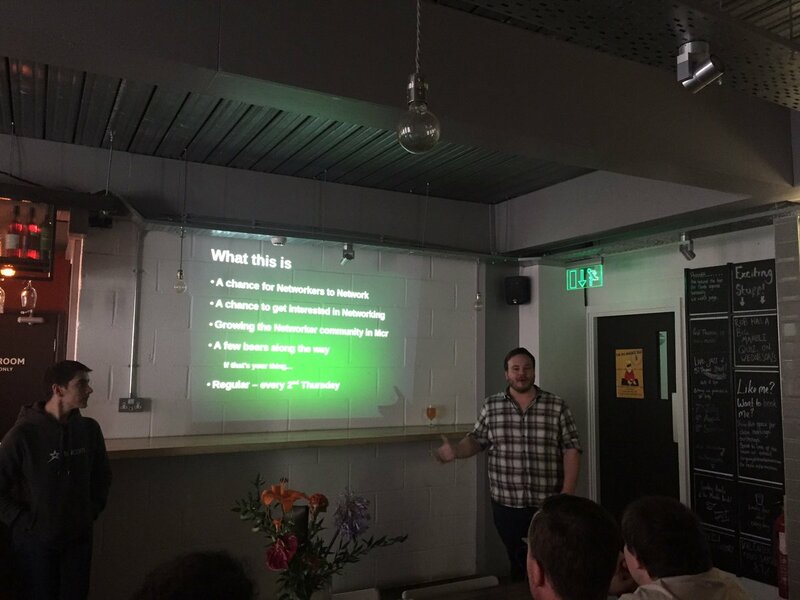 For the next talk, I gave a little intro to Interconnection in the UK. However, due to circumstances entirely outside of my control, we don’t seem to have any photos of that talk… But the slides will be available to download below, if you’re so interested. The final talk of the night was ‘10 Things You About VoIP‘, given long-time stalwart of the VoIP world, Tim Bray. Tim telling us all the ways of VoIP. And that was that. What was wonderful to see (and hear) were the questions following each talk over the course of the evening. There was a feeling that we’d stirred some good conversation with these talks, and this was definitely ‘mission accomplished’ for Thom & myself. Fresh from the teachings of Tim, some of us settled into a little more beer, food & conversation, and a few more of us even kept the Networker’s oil burning long towards midnight. 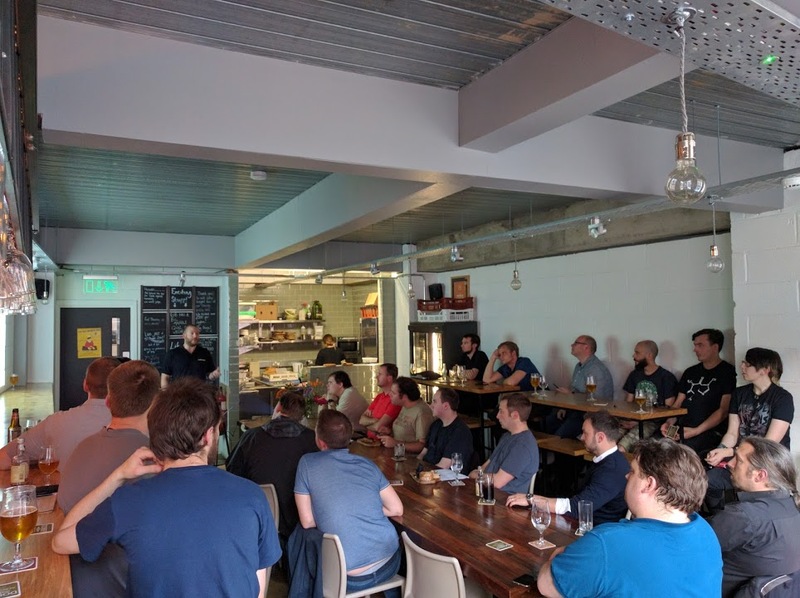 With lots of positive feedback – and constructive criticism – NetMcr was born. Our thanks to everyone that came, and made it happen.